Growing sustainable profitable enterprises is one of our main focus areas. 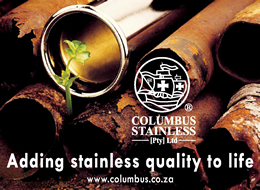 Columbus Stainless (Pty) Ltd had a profound need for the sourcing of Suppliers fitting the profile described in terms of the Preferential Procurement element in the new Codes of Good Practice for B-BBEE. No existing databases provided the search elements needed to find these Suppliers. The drive towards supporting local economy also presented challenges. 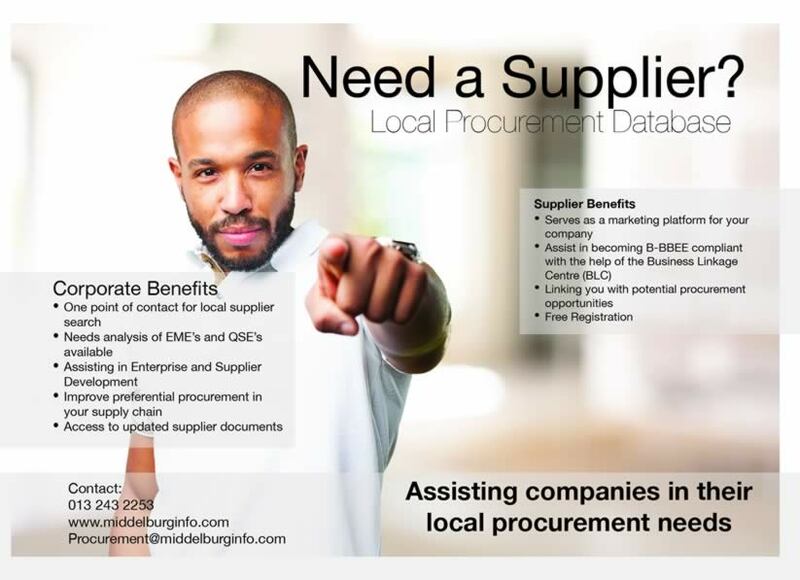 The Middelburg Chamber of Commerce and Industry provided a solution through the development of the Local Procurement Database which aims to list all Nkangala District Suppliers with the search criteria needed to source Suppliers that we need. The use of the database helps to build a supply base which maximise the support from large corporate companies in the local economy and also helps us to maximise our performance on Preferential Procurement. It is a great tool to use in the search of Suppliers with the added benefit of "behind-the-scenes" support from the Chamber to provide much sought after documentation like B-BBEE certificates, company profiles, and company registration documents and even needs analysis data that can be used in Enterprise- and Supplier Development initiatives. I can promote and recommend the use of this great tool to any business! 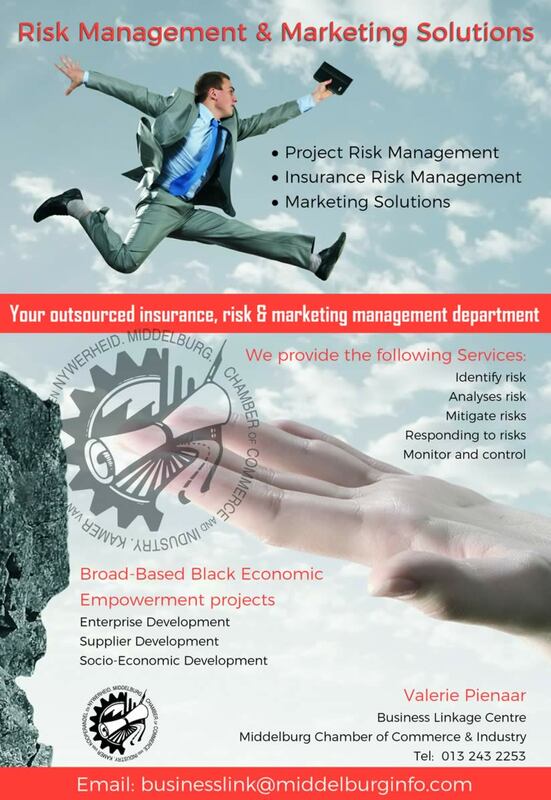 The Business Link Centre offers a wide range of information services to members (MCCI). Information and other resources are available. It is important to note that the BLC has experience and are capable of giving you an overview and support with regards to the business opportunities present in the region. Free consultations on business development and business opportunities for MCCI members. Respond to business-related or membership-related inquiries by MCCI members. Publication of periodicals containing the most essential and up-to-date information and statistical data of relevance for MCCI members. We developed a comprehensive database of local businesses. 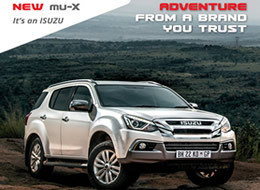 You can access the procurement portal through our website: middelburginfo.com. We currently have 1 600 local business’ information. Access to more comprehensive information is available at an additional fee, information available on request.